Disgusted by the current political climate in America, we REFUSE to add another piece of art making fun of that turd in the White House. Instead, we’re focusing on kindness, understanding, tolerance, equality and peaceful intentions, and that’s the side of history we’re fighting for. 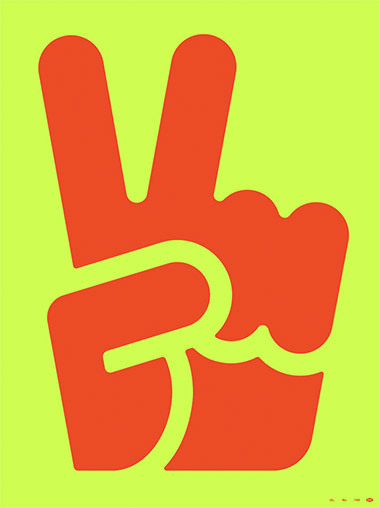 We did a version of these “peace fingers” as a poster with our friends at The Half and Half a couple months back, and have raised a bunch of funds for the ACLU. That’s a little more my speed. Proud of that. We’ve expanded from posters into a whole line of patches, pins, decals and a very, very bright poster! We donate a lot of cash around Portland, to national disasters and those in need. 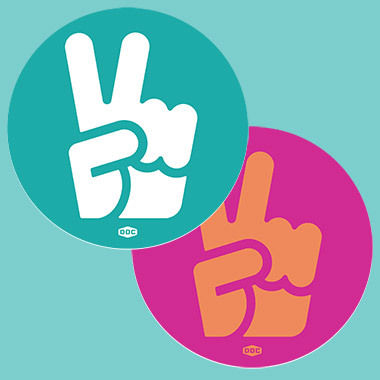 Proceeds from these “Peace Fingers” merch items go to helping people. And that’s that. Peace on Earth. Peace in America. Peace in our towns. Peace in our neighborhoods. Peace in our homes. Peace in our hearts, minds and souls. 02. 2-3/4” wide and 3-1/2” tall. 04. Great for backpack, jean jacket, fatigues, rucksack, feed-n-seed caps and many other spirited uses. 05. Peace on earth, people, peace on earth! 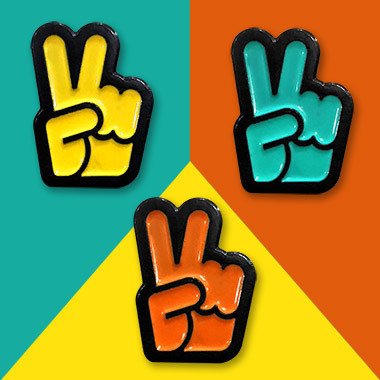 PEACE PINS ON EARTH: Three colors to choose from! 01. Peace! Say it loud and say it proud! 02. Durable metal. 03. Good for lapel, collar, jean jacket, ball cap, backpack or Earth Day t-shirt. 04. .55�€ wide x .72�€ tall. Peaceful dimensions. 05. Proudly manufactured by the pinmasters over at Brewery Outfitters! 06. 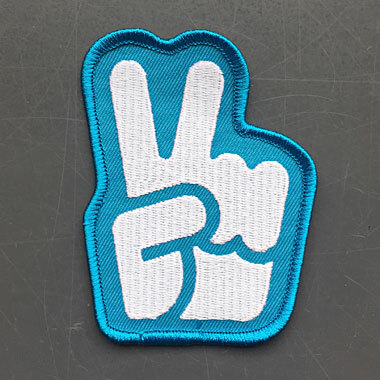 In stock forever, until world peace reigns across the globe! GIVE THESE DECALS A CHANCE: Two colors to pick from! 01. Printed on thick, weather proof vinyl. Adhesive as hell, but in a non-aggressive, peaceful way..
02. Colors inspired by vibrant colors that make us feel good. 03. 3.5” in diameter. Perfect circle shape. 04. Proudly printed by peace birds of Diesel Fuel Prints! AND LAST BUT NOT LEAST, THE POSTER VERSION: Check out how bright that thing is! This peaceful nugget will light up that room! 02. Two colors! Fluorescent Deep Orange and fluorescent Acid Green! 04. Proudly printed by our Portland buddies at Seizure Palace! 06. Dedicated to those striving for peace on earth. 08. Insanely limited edition of 150.